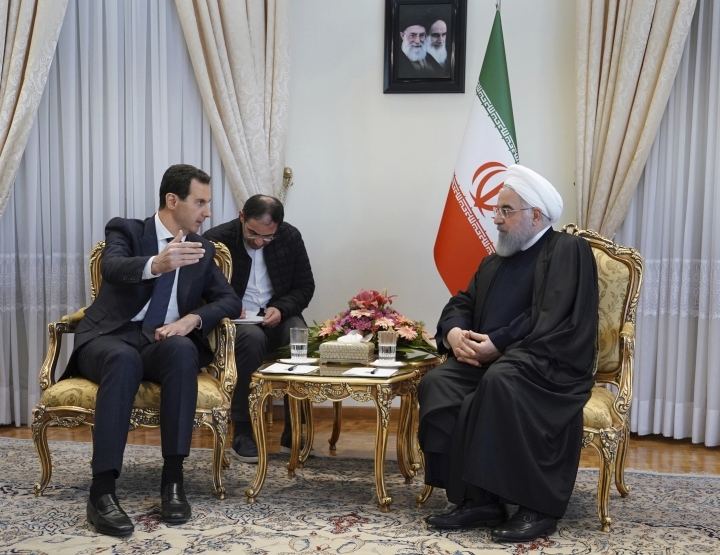 TEHRAN, Iran — Syrian President Bashar Assad has made an unannounced trip to Iran, where he met with the supreme leader and other top officials to discuss the planned U.S. troop withdrawal and Turkey's efforts to set up a buffer zone in northern Syria, state media reported Monday. 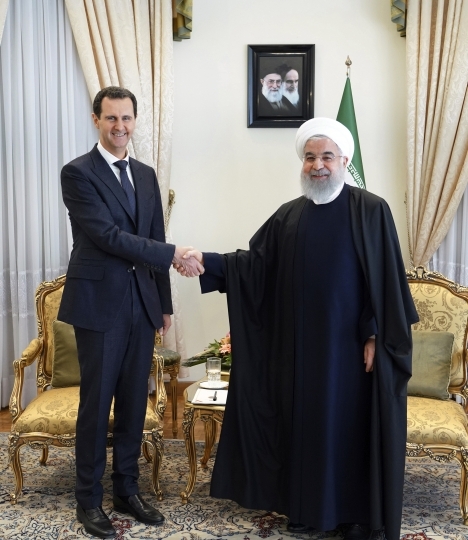 Tehran has given the Syrian government billions of dollars in aid and sent Iran-backed fighters to battle alongside his forces — assistance that, along with Russian air power, has helped turn the tide in Assad's favor. 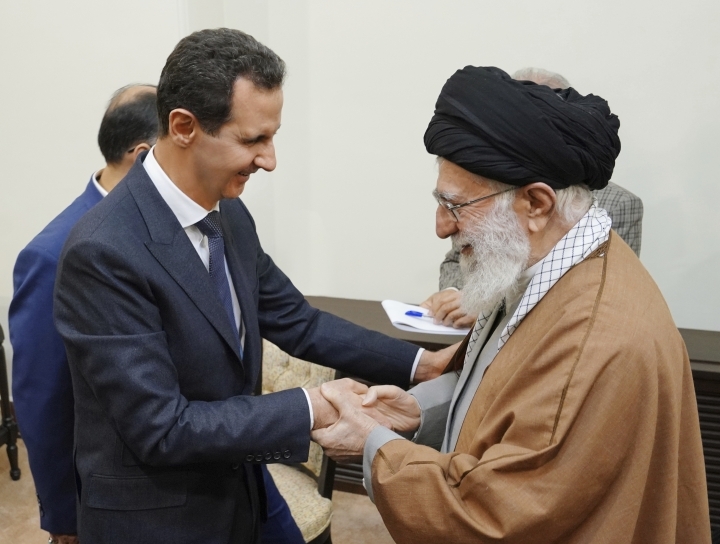 Syrian and Iranian media released photos showing Assad warmly embracing Khamenei and shaking hands with Rouhani. The visit was not announced beforehand, and both countries made it public late Monday. 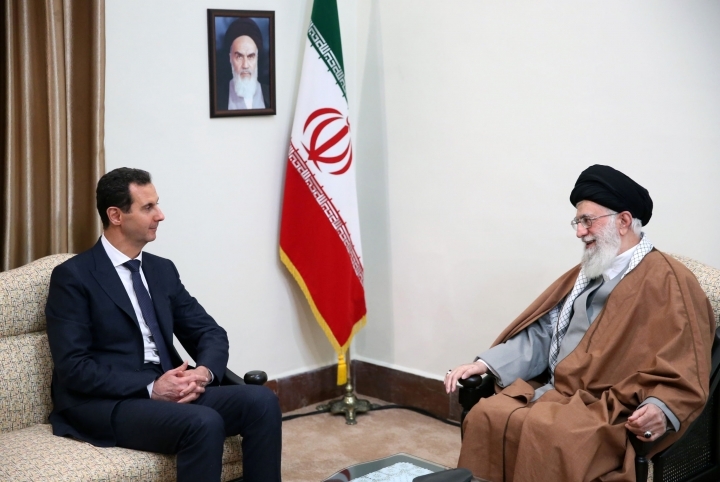 Iran's semi-official Fars news agency said Khamenei told the visiting Assad that "the buffer zone that Americans are after in Syria is among dangerous plots that should be rejected," and that the U.S. plan to maintain a presence in Syria near the Iraqi border "is another sample of their designs." U.S. President Donald Trump announced in December that all American forces would leave Syria, but he recently backtracked in the face of intense criticism, saying about 200 soldiers would remain indefinitely to help keep the peace alongside Syrian partners and prevent a resurgence of the Islamic State group. U.S. officials said Trump's decision authorizing a small number of U.S. troops to stay is a key step in creating a larger multinational observer force that would monitor a so-called safe zone along Syria's border with Turkey. The buffer zone is meant to prevent clashes between Turkey and U.S.-backed Kurdish forces. It is also aimed at preventing Assad's forces and Iran-backed fighters from seizing more territory. Syrian officials have blasted Turkey's plans for such a safe zone, saying both Turkish and U.S. troops are occupiers. Assad accused the U.S. and its regional allies like Saudi Arabia of creating rifts among various religious and ethnic groups in Syria, saying such efforts have backfired. "Today in Syria, Kurds and tribes have good relations with the government," he said, according to Fars. Syrian state TV said Assad "thanked the Islamic Republic's leadership and people for what they have given to Syria during the war." Assad's office said "both sides expressed their satisfaction with the strategic levels reached between the two countries in all fields." 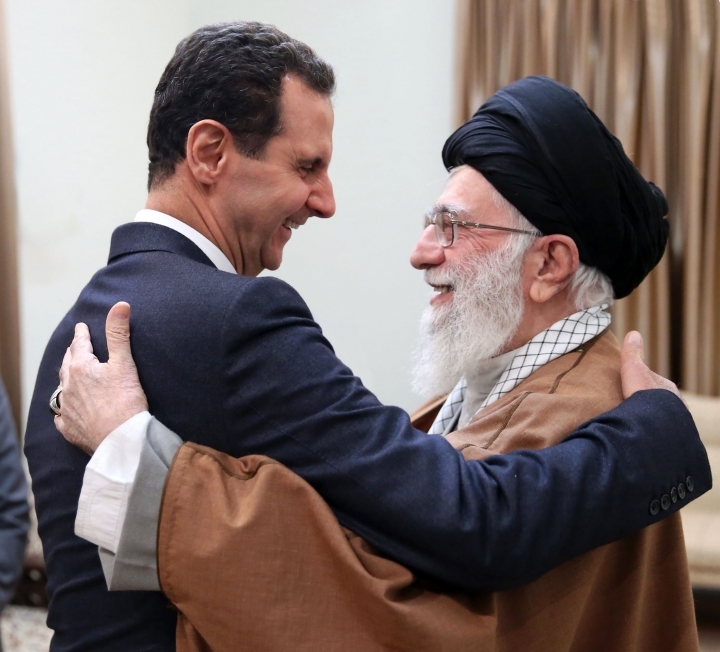 Khamenei said Iran is "proud" of the assistance it offers to Syria, Fars reported. Syria's conflict began almost exactly eight years ago, when Arab Spring-inspired protests broke out against the Assad family's decades-long rule. The protests prompted a harsh response from Syrian security forces, which led to the emergence of an insurgency. The resulting war has killed some 450,000 people and driven millions from their homes. The visit to Iran comes a day before a trip by Israeli Prime Minister Benjamin Netanyahu to Russia for talks expected to focus on Iran's role in Syria. Israel has said it will not tolerate a permanent Iranian military presence in Syria, and it has carried out scores of airstrikes against Iran-linked targets there. Aji reported from Damascus, Syria.